Are Single Length Irons Another Gimmick to Sell More #Golf Clubs? Can You Play Better Golf with Single Length Irons in Your Bag? Much internet chatter lately has been on the subject of playing golf with single length irons. 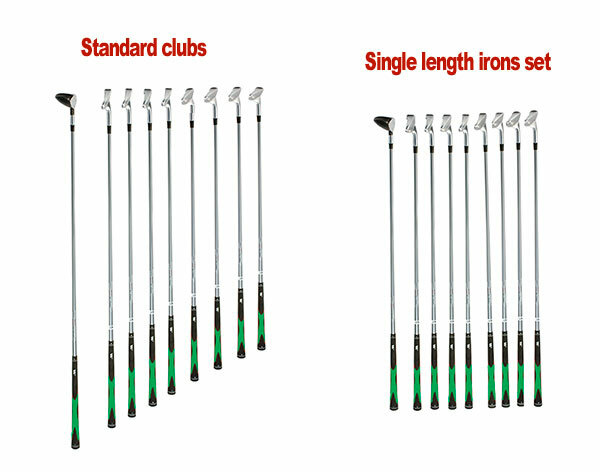 What does it mean to have a single length iron set, what type of player will benefit most from a switch to this type of set and should you go out and try them? The simple answer is that the shafts of the entire set of irons are built to one specific length but with changes in the head and more. Golfwrx has conveniently put all of this information into an article but, unless you are an amateur who enjoys reading the difference between distance gapping and head weights as well as the other "small nuances involved to golfers", suffice it to say on this golf blog that a group of amateur golfers "just like you" were given a set of single length irons to compare to a standard set with their results posted on Golf.com. What was the outcome of the test? "There was no clear 'winner.' A case can be made for standard-length and single-length clubs and who will be using them. Some standard set shorter irons were easier to play but the single length irons seemed to be a better choice for golf beginners and high handicappers who learn one setup when everything in the basics of the swing seem harder to fathom. Golfers, in general, may find it a challenge to get used to new, single length irons. Can You Change YOUR Golf Irons Into Single Length Clubs? The simple answer is No because of the difficulty involved in the changeover. According to pro golfer Jaacob Bowden who wrote an article on SwingmanGolf.com, head weights differ so you would have to "grind off a bunch of weight from the other higher-lofted clubs to get them all as light as the 4-iron head." Also, the lie angles and balance points of the clubs are also different. Are single length irons another gimmick to sell more golf clubs? 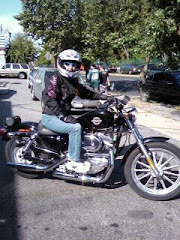 Every year, manufacturers create new products for a hungry public with disposable income. You can only change the heads so many times, change the appearance, shaft weights, colors...you name it...but how many times are you going to change over your clubs? At $750 or so per set, that can get expensive if you're not Tiger Woods. 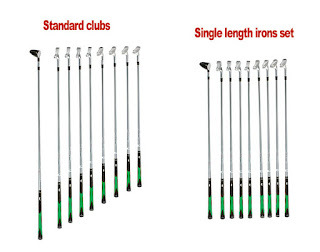 As for the single length irons, I believe these clubs could work well for beginners who play but are having difficulties with how to adjust their setup or ball position to the different iron lengths in their bag. According to "Old Timer" on the GolfWrx forum, "I have friends that have tried this. It does not work. This idea usually appeals to new golfers, don't get caught up in this scam, it has no validity. Golf pro Lanny Wadkins is said to have concurred, calling these irons a gimmick. "If it really worked, legit players like Tiger Woods and Jack Nicklaus would have done it years ago"
Jaacob Bowden's experience was a positive one, "4 months after I bought them, I played in the 2007 Long Beach Open and I shot my first tournament round of golf in the 60s." Valid points! Have you tried single length irons? What was your experience with them? Follow and share your experiences with golfers worldwide on Twitter @Golf4Beginners. Playing Golf - A Matter of Life and Death? 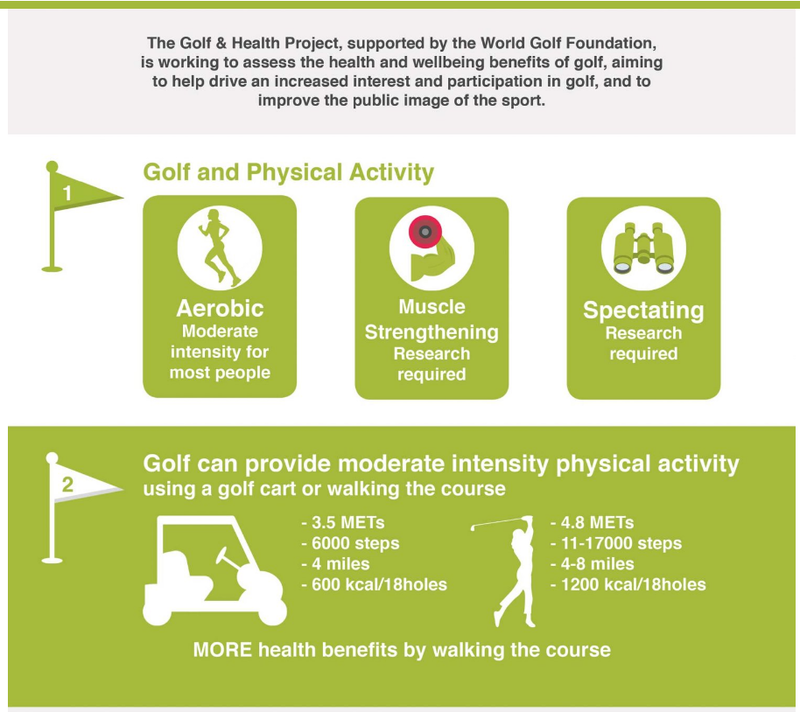 Is golf good for your health? Many people agree that there are physical as well as mental benefits to playing the sport that is said to last a lifetime but can the sport also be a life saver? In a recent tweet, Annika Sorenstam asked her followers this simple question, "Want to be healthy and live longer? Play golf." 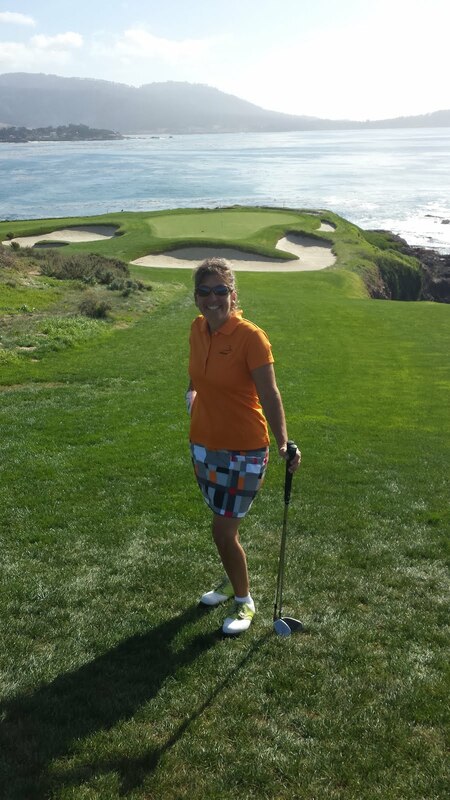 Normally, I might retweet this statement and move on to the always updating thread of my Twitter feed, @Golf4Beginners (...follow me) but Annika got me to thinking about the whole "mind-body" relationship of golf and whether or not the sport can truly help players to live a longer, healthier life. Still, I was not totally convinced - I even typed this query into Google: "Do you live longer playing golf?" When I did, the results were an overwhelming, "YES!" 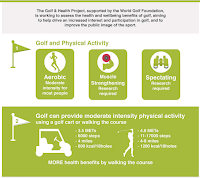 Researchers located at the purported home of golf, namely, Scotland, conclusively stated that golfers live five years longer, that the sport improves mental health, helps to prevent chronic diseases and can burn up to five hundred calories. Related Story: 5 Minutes to Tee Time - Are You Ready? Although "injuries and illnesses associated with golf have been identified", lead researcher, Dr. Andrew Murray states in the British Journal of Sports Medicine, "golf's contribution to muscular strengthening, balance and falls prevention" as well as the ability to offer "moderate intensity aerobic activity" with an improvement in "self-efficacy, self-worth... improved confidence, interpersonal skills and emotional control", all lead to the conclusion that golfers can have an increased life expectancy. So, the next time your spouse says you have something more important to do than to go out with your Sunday foursome, just say, you have to go; it's a matter of life and death! Do you agree that playing golf can add years to your life? Comments welcomed in the section below of this golf blog and on our Twitter page, @Golf4Beginners. Read About: New Ways to Mark Your Golf Ball! The original title to this golf blog was intended to be something like "Two Huge Draws to Boost Napa Safeway Golf Tournament...Tiger Woods and...?" Unfortunately, days after Tiger Woods had committed to playing golf at the Safeway Tournament in Napa this week, he withdrew. "After a lot of soul searching and honest reflection, I know that I am not yet ready to play on the PGA TOUR or compete in Turkey. My health is good, and I feel strong, but my game is vulnerable and not where it needs to be." A practice session proved to Tiger that he was not yet ready for the big league but why wait until only three days before the tournament? Woods said he "wasn't ready to compete against the best golfers in the world." He also apologized and said that his game was close but obviously not good enough. Ticket sales were said to have been boosted by a minimum of thirty to forty percent and visibility on TV, radio and social networks would have been increased by more than any event in recent memory, not to mention advertisers who booked time (probably attached to a healthy sum) based upon Woods' okay. Wonder what all of those folks are thinking who specifically bought tickets to see the return of the former number-one golfer in the world play alongside of Phil Mickelson? I guess they will have to watch the golf game for the pure enjoyment of the sport. According to Golf Digest, The PGA Tour was so excited at the prospect of a Woods-Mickelson pairing that it released the information as soon as confirmed; usually, this information is not available until the Tuesday before the Tournament! The Safeway Open website was said to have a banner which read, "See Tiger, Daily Tickets Only $30. 'Now the banner says, See Phil, Daily Tickets only $30." There were reports of fans requesting refunds. Think about it... what could be more exciting than a return to the greens by one of the greatest golfers of all time, being paired with a current top-ranked player whose back-and-forth duels have been likened to some of the best sports moments in history? Mentioned on ESPN.com, "in 1,139 rounds in his PGA Tour career as a pro, Woods has been paired with Mickelson just thirty-two times -- or less than three percent of their rounds." I am sure that many golf fans can remember a few of the more exciting Mickelson-Woods moments; my favorite is the 2005 "Duel at Doral" where Phil played his best but where Tiger Woods rallied at sunset to regain the world number one ranking. Sorry folks, not this time. Mickelson is raring to go with Woods; Phil and Tiger spent quite a bit of time together during the Ryder Cup and mentioned in an interview last month, "that would be really fun. I would love it." I guess Tiger Woods fans will have to wait until his foundation's "Hero World Challenge" to get a peek at the game gone south of our former hero. What do the fans think of Tiger's comeback flip-flop right before the Safeway Tournament? Tweet using our handle @Golf4Beginners and feel free to post below in the comments section of this golf blog. 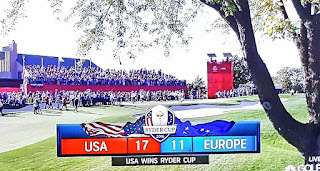 Every golf tournament can be considered a learning experience by players and fans; the Ryder Cup is no exception. Some writers looked into the seriousness of the individual golfers and teamwork displayed while others wrote about the validation of the USA "family". It was said many times during the Ryder Cup that this tournament is like no other event in golf; the seriousness is there but the cheering and jeering elicits so many different responses in the players that they must seek out their zen place in order to close out distractions. In a recent article by Golf Digest, it was suggested that players do not try to block out pressure but, instead, embrace and channel it. "You probably aren't playing in front of a 50,000-person gallery, but everybody will get to a shot that gets the butterflies going," related top PGA Teacher Randy Smith. "The trick is to practice drifting into the past, to access the good shots you've hit on that hole or in a similar situation. When you do that, you're reminding yourself that the situation isn't completely foreign. 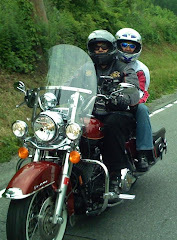 The nerves are there, but they're part of the experience." The Golf for Beginners mantra is that we are always learning...and sharing our thoughts with golfers of all levels so, here are a few observations as to how to use Ryder Cup model to your advantage during a friendly competition with your mates. 1. Managing Emotions: As discussed above, emotions do play a role on the golf course but the key is how to use those feelings to your advantage. Preventing a meltdown is easier said than done when you slice your ball so badly that it splashes into the green-side pond or when you have a few shekels on the line and miss that three-footer to go down by three in the match. Dr. Deborah Graham suggests using Dave Stockton's "2 Second Rule" as a quick fix to a possible emotional disaster. Basically, give yourself two seconds to react to a bad shot - release frustration and then change your thoughts to something you can control and move on to the next shot. 3. Try Playing as Teams: The team experience can be very rewarding, creating a sense of cameraderie during the round. About the idea of playing with a team, Karen Stupples mentioned that solo golf can be very "selfish" and said with regards to her experience in the Solheim Cup, "You have to be aware of what everybody else needs as well and you may have to make some sacrifices. You will definitely feel more pressure in this type of format because you don't want to let your team down." I personally like the option of playing best ball and believe that the joint strategy offers less pressure because the team is shouldering some of the weight. Ham and egging it has its advantages! What did you learn from watching the Ryder Cup matches? Now that the Ryder Cup is officially in the books, we congratulate both teams for their incredible winning spirit. Next up in the way of team sports is the Solheim Cup slated for mid-August of 2017 and then the President's Cup at the end of September, 2017. Are you a fan of team sports? What can you offer about your experiences playing with a team? 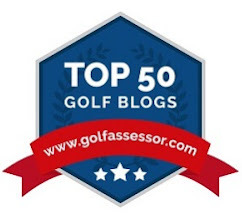 Tag us on Twitter @Golf4Beginners and feel free to comment in our golf blog below.